Europe is home to some of the most beautiful bridges in the world, each with their own special signature style. I love London's iconic bridges like London Bridge, Tower Bridge and Millennium Bridge. I love the bridges in Italy like Rome's breathtaking bridges over the Tiber (I love Rome full stop, I spent 6 weeks 'living' in Rome in Trastevere last Summer and had an amazing time), Venice's Rialto Bridge and the Bridge of Sighs, and of course Pont Vecchio in Florence! And who can forget Prague's breathtaking Charles Bridge, especially at night time with its amber lighting. 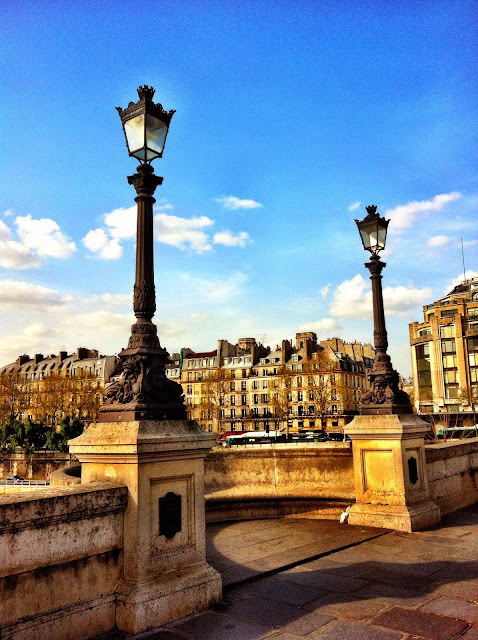 But for some reason, I have a soft spot for Parisian bridges. They are so pretty, so romantic, so picturesque, like a painting.. They are also so well preserved and maintained, beautifully detailed and restored. I have always had this idea ever since I first moved to Paris to cross all the 37 bridges over the Seine and choose which would be my favourite. I haven't seen them all yet but so far, the Pont Alexandre III sits at the top of my list. Anyway, what better way to get this project rolling again than to receive a task from my friend in Australia to photograph her favourite bridge, the Pont Neuf, from the 1991 French film "Les Amants du Pont-Neuf", starring Juliette Binoche and Denis Lavant. Pont Neuf which translates to "new bridge", isn't a new bridge at all. 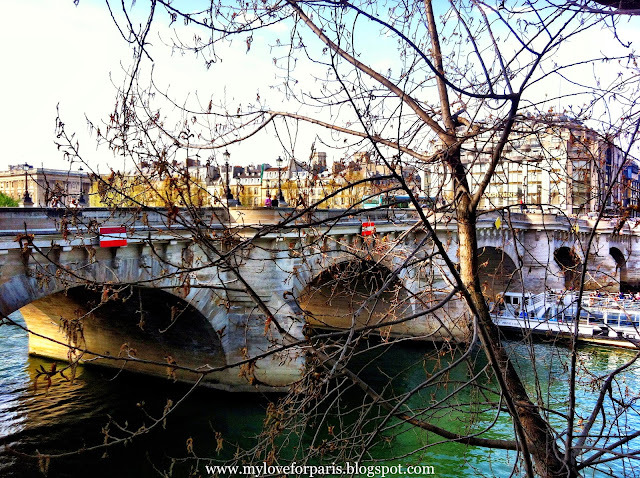 In fact, it is the oldest standing bridge in Paris over the Seine. 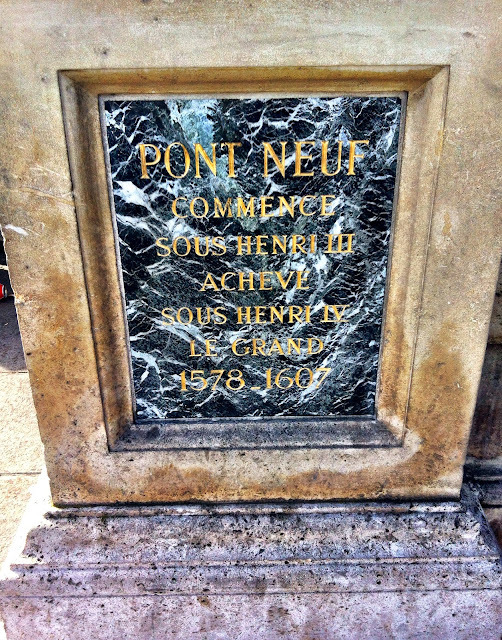 The first stone was laid in 1578 by Henri III. 1578. As in still in the Middle Ages, isn't it crazy to think this bridge was in existence in the MIDDLE AGES, during the medieval times and today we are able to cross the exact same bridge in 2014..? At the time, Pont Neuf was the only bridge without any houses built on it which allowed it to become a popular meeting point for everyone to the admire beautiful views of the Seine. At 20 metres wide with regular alcoves in place to sit and watch the world go by, it's no surprise that Pont Neuf remains a special bridge to visit today as well. 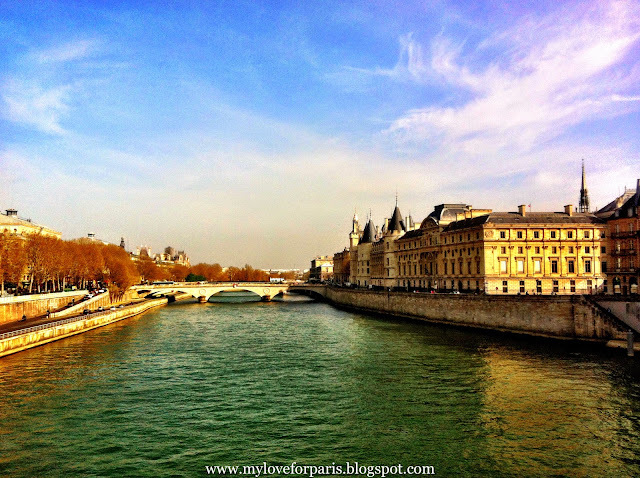 This is the beautiful view of La Conciergerie from Pont Neuf. La Conciergerie is a former palace and also a former prison in Paris. Yes, I know what you are thinking.. I was thinking that too, even the old prisons have been restored to look so beautiful in Paris! Inside, you can visit the cell of La Conciergerie's most famous prisoner, Marie-Antoinette. These days, La Conciergerie is part of the Palais de Justice complex which houses the Paris Law Courts. I love the translation of the Palais de Justice, this is the "Palace of Justice". Where are you going today? Ah yes, I'm just going to pop by... the Palace of Justice. I remember last time that we went in Paris we had so much fun and it is truly an unforgettable for us. Thanks for this one. Am happy to have helped you reminisce Rod!